The oh-so-cute Wee Baby Stella Fruit Suit includes a pajama clad Wee Baby Stella beige doll swaddled in a delicious embrace that resembles a green pear. 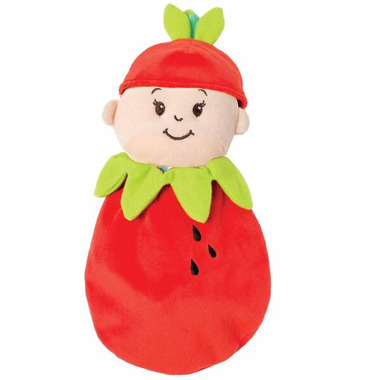 Each baby keeps cozy in a colored cap complete with green leaves, just like real fruit! 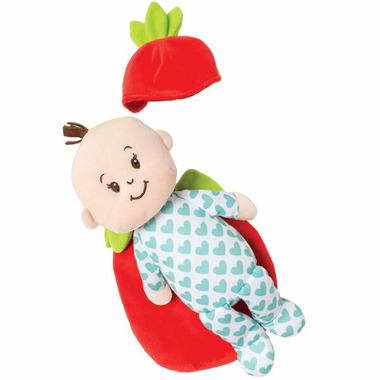 Baby Stella is a perfect first doll for comforting little ones and supporting imaginative role play.